Tropical is topical right now and pineapples are taking centre stage. With this fabulous fruit being the international symbol of welcome and hospitality we appear to have welcomed it into our fashion and interior world with open arms and now we just can’t get enough! Whatever your style there’s a pineapple print or accessory out there for you and now we have our very own design too. 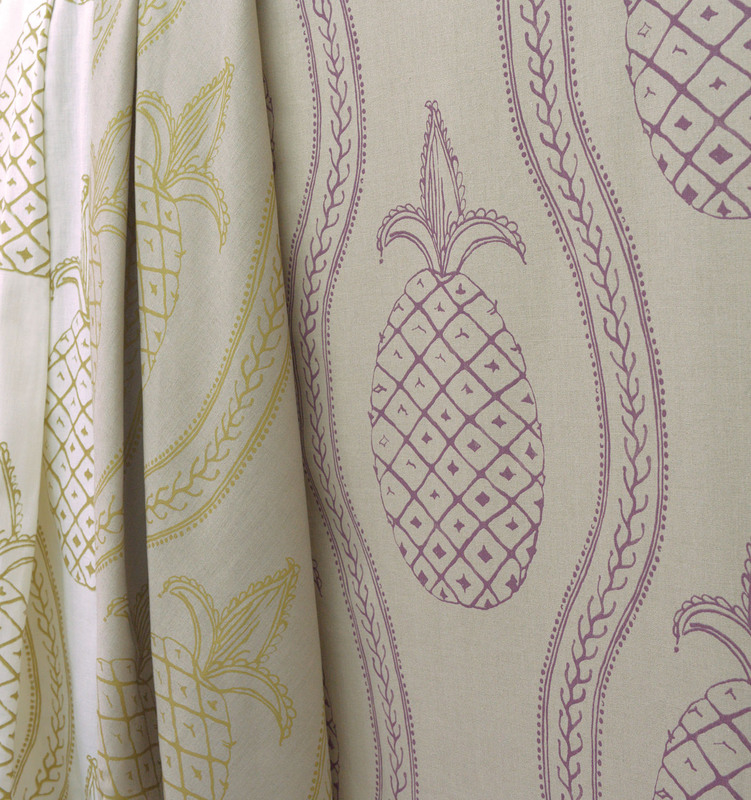 Our Pynefrute fabric is 100% linen and is a subtle take on pineapple fever so can be used on its own for a more elegant colonial look or accessorised to the max for that full fruit tropical punch!